Google has re-branded Google Tez to Google Pay and will be expanding the reach of the India-first app across the world. The app will also offer pre-approved loans to users in the coming months. 15,000+ large stores and merchants will soon start accepting Google Pay in India. Google held its Fourth annual Google For India event in New Delhi today. The theme of this year’s Google For India conference was digital and financial inclusion, wherein Google announced support for new vernacular Indian languages for its products, a new way to get vernacular publishers online, an expanded payments offering in the form of Google Pay, new features for Android Go apps, locally-relevant actions for Google Assistant, expansion of Plus codes across the country, new bilingual Google Feed, ability to have web pages read out and much more. Clearly, Google’s agenda for this year is to make its products more popular in India by targeting local languages and communities. But, one of the biggest announcement of all made at the event was that of the rebranding of Google Tez to Google Pay. 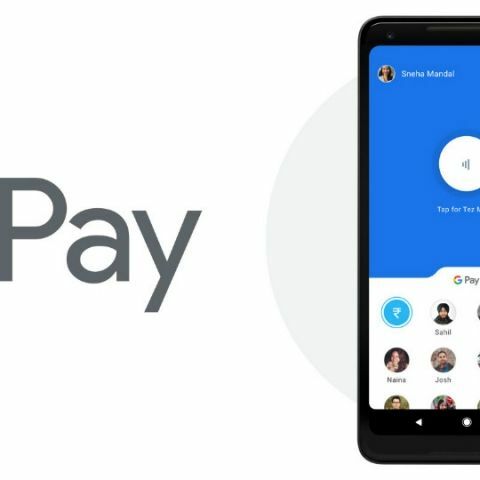 Google Tez, the company’s UPI-based payments app has now been rebranded to Google Pay in the interest of bringing the product to more countries other than India. At the event, Google’s Head for Payments and the Next Billion Users initiative, Caesar Sengupta, announced that Bhim UPI transactions have grown 14X since launch of Google Tez in India last year. Indians from 3 lakh villages, towns, and cities using Tez in India, which comes up to 22 million monthly users for the payments platform in the country. Sengupta also disclosed that 750 million transactions are carried out using Google Tez everyday, with an annual run-rate of $30 billion in transactions. Google is now unifying all payments across its platforms under the Google Pay umbrella. While Tez will be rebranded as Google Pay, the UI of the app will remain the same. The app will adopt new features from its global counterpart to make payments seamless. -An integration with Red Bus to help users buy bus tickets using Google Pay. -Users will be able to view receipts of their transactions from more merchants now. -Google is working with large stores and payment providers like Pine Labs, and by Diwali this year, the company promises availability of Google Pay across 15,000 stores in India, including the likes of Big Bazaar. - Businesses and merchants can now pay for Ads on Google using Google Pay. -Google Pay will also be available as a mode of payment on Paytm soon. One of the biggest additions coming to Google Pay is the ability to get pre-approved bank loans. Google is working with Federal BAnk, Kotak, ICICI, and HDFC to provide pre-approved loans on Google Pay. Users will be able to see their pre-approved loan amount in the Google Pay app and after completing the necessary formalities online, the bank will deposit money in the user’s account instantly in a matter of seconds. "In the coming weeks, these customers will be able to use Google Pay to take out a customised loan amount from their banks, with minimal paperwork, and once they accept the bank’s terms, the money is deposited securely and instantly by their bank, into their bank account," Google executives said at the event.